Lots of business people work from an office at home these days. So what are the things you need to be doing when it comes to your business record keeping? If you’re a sole trader then you can claim a proportion of your household bills, utilities, council tax, water rates etc and the interest element of your mortgage. You can do this by using the number of rooms’ method or area of house method. Make sure your calculation is reasonable and you can prove how you calculated it then the HMRC shouldn’t have a problem with it. From April 2013 an alternative to this is to claim a fixed rate allowance, the amount of which is dependent on the number of hours per month you work from home “wholly and exclusively” for the purposes of your business. The amount which can be claimed varies from £10 to £26 per month. If you’re a limited company then you are an employee of the company and can claim £4 per week of expenses for working from home. However if you’re a homeowner then you can charge the company rent for use of premises. Be very careful if you’re doing this though as the room must be purely for business use and there may also arise the issue of business rates and liability for capital gains tax on the sale of the property. Also if rent is charged then this will be included in your self assessment tax return as rental income and offset any premises costs against it. So if you do work from home make sure your accounting records reflect this. You could be missing out on saving money if you’re not accounting for it properly. Always seek professional advice before embarking on any claims. Westwood Accountancy will offer you friendly advice on where you could potentially save money. 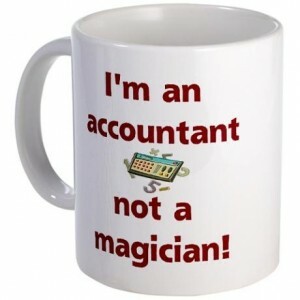 Drop me a line on sharron@www.westwoodaccountancy.com or give me a call on 01207 509871 and let’s have a chat.